Lance Taylor is a personal injury attorney at Mac Hester Law. Lance is a Colorado native who grew up in Fort Lupton, Colorado. He was working in the construction industry when 9/11 happened, but the tragedy of that day changed his perspective on life. He joined the U.S. Army so he could dedicate his life to helping others. Lance graduated as an Honor Grad in Arabic at the Defense Language Institute and was subsequently deployed to Iraq as a Human Intelligence Collector. After returning from Iraq, Lance graduated from CU Boulder with a B.A. degree in Psychology and then attended law school at the University of Michigan Law School, where he helped establish a no-cost legal clinic for veterans. After law school, Lance returned to Colorado where he clerked for the district court and served as a Deputy District Attorney, prosecuting misdemeanor crimes and protecting the rights of crime victims in our community. Disheartened by criminal law, he worked in private practice and handled divorce, estate planning, probate, and civil litigation cases, but found that he could best stay true to his purpose by practicing personal injury law and advocating for those who were injured by the fault of another. Lance is a proud husband and father of two. When he is not practicing law, he is an avid woodturner and he volunteers with veterans’ organizations. 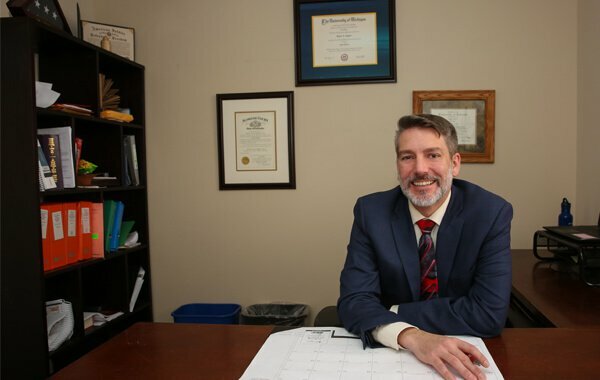 Lance Taylor is a member of the American Bar Association, Colorado Bar Association, Larimer County Bar Association, and the Colorado Trial Lawyers Association. Lance graduated from the Defense Language Institute in 2008 with an Associate of Arts degree in Arabic, and the University of Colorado, Boulder in 2012 with a Bachelor of Arts degree in Psychology. He was awarded the Juris Doctor degree from the University of Michigan Law School in 2016.